Modern garage doors have new safety and security features that bring peace of mind to every owner, knowing the operation of their door is perfectly safe. Compared to old manual doors, new automatic doors offer improved convenience and safety. If you’re wondering how to tell if the door installed in your home or the one that you’re eyeing to purchase has the best features, receive the answers by familiarizing yourself with the available features these doors could have. 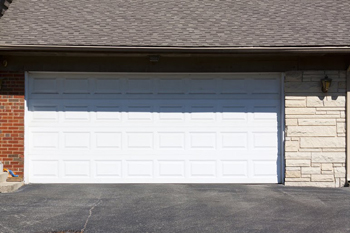 One of the most common concerns of owners is someone or something being accidentally hit by a closing garage door. If this huge moving object crashes on someone, serious injuries could happen, and if it smashes onto something, like a car, expect it to cause severe damage. Automatic doors which use door openers have auto reverse mechanisms that automatically pull the door back up when it detects something on its pathway. If you own an overhead door with this feature, it’s important to have it tested regularly to make sure it works properly. This can be done by placing something like a box under it and seeing if it could detect it and automatically go back up. If it pulls back up but the box is damaged, you may need to adjust the force of the door. Customers also find that the pinch resistant feature which prevents fingers from getting hurt by accidentally holding the door too close when it operates is very helpful. Many people have experienced this so don’t let this happen to you and your family by selecting one with the said feature. Electric garage door openers can obtain damage or the power might shut down and this could trap you inside the garage or cause serious problems. The manual release mechanism would prevent such concerns from happening. This disconnects the door from the opener so persons can use it manually in the meantime, while the opener is damaged or while the power is out. Timers for closing the door automatically are also available. These are helpful, especially for people who always forget to close their garage doors. Forgetting to close your door puts your home at risk of burglary as intruders could get in anytime through the open garage door. If you’re far from home and suddenly remember that you failed to close it, you may go back but it could be a huge waste of time, particularly if you’re in a hurry. By setting the timer to automatically close the door after a specific period, you don’t have to worry about the safety of your place, as the timer takes care of closing the door automatically in case you forget to. Although there is a manual release mechanism, some owners may still want to enjoy the convenience that their door openers bring. You can still open and close the door automatically with your opener even when the power is out by using the battery backup. Some openers are equipped with this. Advance systems are also available that can be used with your doors and openers for enhanced safety and convenience. Furthermore, there are systems with certain applications which allow customers to control the door using their mobile device. Even if not home, you would be able to monitor what’s happening at home and close or open the door as needed. 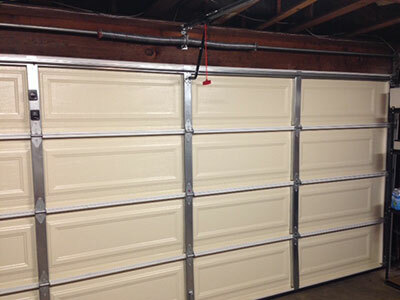 More and more safety and security features are continuously being developed for garage doors. If you want to know more, garage door repair Murray to receive more information.